Get a 100% Welcome Bonus up to £200 and the 100 Spins on Emoticoins from Play Club Casino! Create an account and make your first deposit. This will bring you 20 spins and a 100% bonus up to £200 on the first payment. 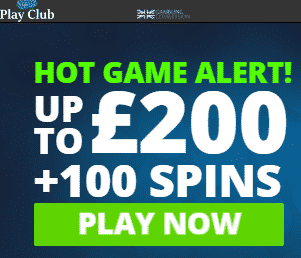 You will receive 40 more spins the next day on a deposit of at least £20 and another 40 on your third deposit. Use the 100 spins within 24 hours. Otherwise, they will expire. Start spinning the reels of this awesome slot machine today and win huge rewards!